That’s why I thought it might be good to share how to jumpstart Lightroom’s tethering when it konks out on you (and don’t you worry — it will, multiple times during any tethered shoot). That’s it’s trademark — it’s ‘calling card’ if you will. Go under the File menu, under Tethered Capture and choose “Stop Tethered Capture” (as shown here) and then go back to the same menu and choose “Start Tethered Capture” to restart it. That should do the trick, but if that doesn’t then it’s on to #2. This one isn’t Lightroom’s fault — it happens when your camera goes to sleep to save battery life. When it does this, the camera goes into sleep mode and Lightroom no longer sees it. To wake your camera, all you have to do is press the shutter button half-way down and that should make it spring back to life, and Lightroom’s tethering HUD will now see your camera again. Now, that doesn’t mean tethering still works (it probably won’t — you’ll take a shot and the photo simply won’t come in), so either way you’ll probably still have to go back and do method #1 again. Ugh. 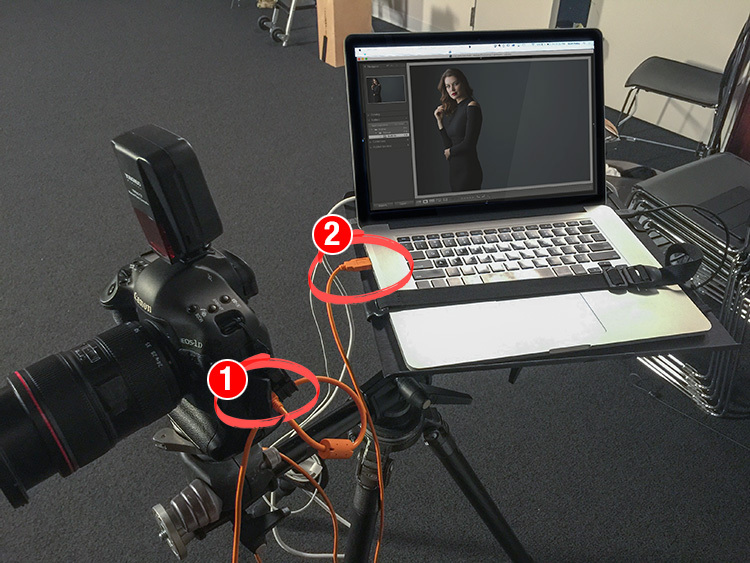 This one isn’t Lightroom’s fault either — while you’re shooting it’s easy to tug, drag, or simply pull out USB tethering cable that connects your camera to your computer. Even if you pull it out just a little bit, it breaks the connection, but once you plug-in back in all the way (check both the connection to the camera [#1 in the image seen above] and to the computer [#2], and then Lightroom will see your camera again in the Heads Up Display. But once again, Lightroom’s tethering probably won’t work (you’ll take a shot and photos don’t appear), so it’s back to repeating method #1. Get used to doing this — you’re going to do #1 a lot (stop snickering). 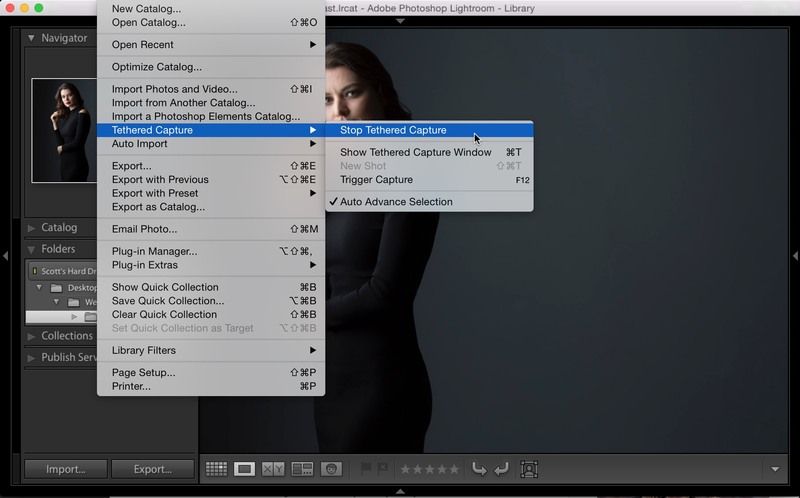 Are you coming to my Free “New Stuff from Adobe” Webcast today at 2pm? P.S. 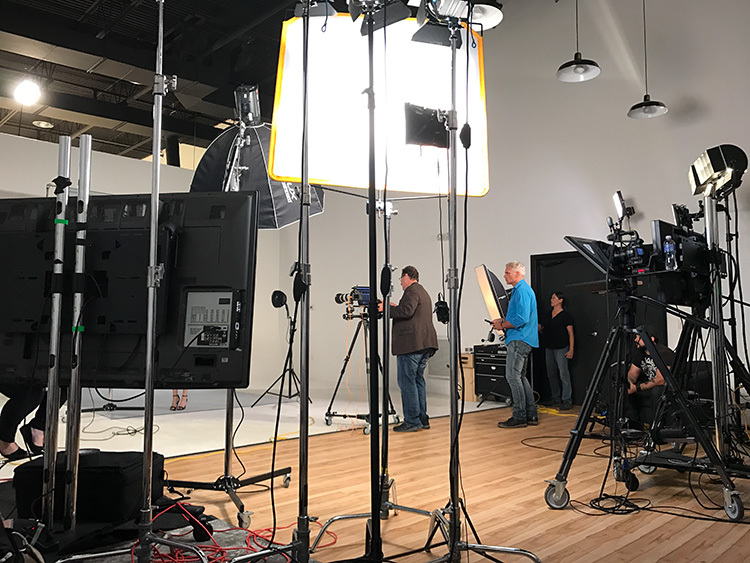 If you missed my “Live Photo Shoot” Webinar for KelbyOne members yesterday, and you’re a K1 Member, you can watch the rebroadcast from the member’s dashboard – click on the “Webcasts” link – you’ll find it there. Thanks to all the photographers from around the world who joined us live. Lots of great questions, interaction and community. I absolutely love it! My name is Line Fiane, a photographer from Norway. I have been using LR while shooting tether for a long time, until I one day experienced that if I wanted to see what I had shot, I had to look at it at my Mac – as the screen on my Canon 5D mark III was totally black. Pretty annoying to work like this. I have tried to see if it helped to update my LR without any success. Do you have any idea how to fox this issue?! Super grateful for you feedback!! I have a problem in that on occasion just half an image will appear on my mac, I don’t know if its the software, Camera or cable. The camera is new and so is the cable, which is the most likely culprit! I’m in the newest version of LR (As of 9/2017) and I’m curious to know if there’s a way to STAY in the Develop module while tethered images are coming in. From my experience, each time a tethered image comes in, LR by default previews/changes to the Library mode. Frustrating when I’m trying to finish a quick edit before moving onto the next image. I guess one work around would be to create a batch edit preset that applies to each new image that comes in? I suppose that would minimize editing. Can I use this with my SONY ILCA-68K. I wanted to try this? It dont work with LR6 and a Nikon D800 either, no way! Can it be used by all camera ?? That bright color does help, but it also helps to have somebody yell “It’s caught on your leg” which has happened a bunch of times. I’ve given up with Lightroom tethering for the following reasons. Lightroom suddenly seems to lock up and this appears to be a low level software problem as the only way to get it going again is to restart the MAC. 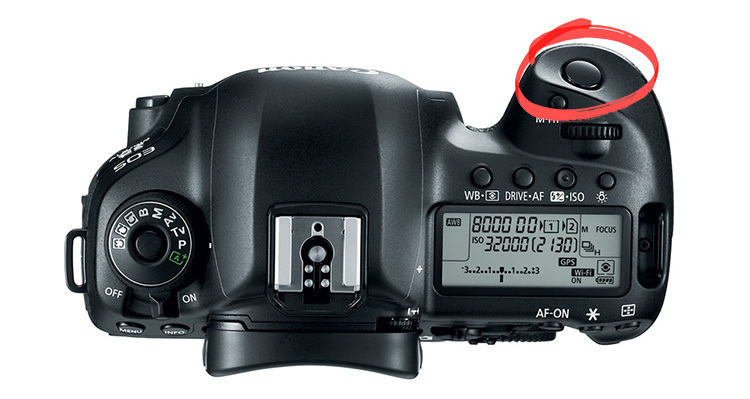 As a Nikon shooter (D810/D500) I find that it’s pretty difficult to keep the camera end connected as the slightest tug allows the USB3 connector to drop out. Finding a decent lightweight cable is also a problem. Last night I gave a demonstration to my local camera club and used ‘Smart Shooter 3’ with absolutely no problem, using the D810 with 70MB files. do you have good results with that using scripts for focus stacking ? I haven’t tried it yet, but as soon as I get time I’ll be playing with it.